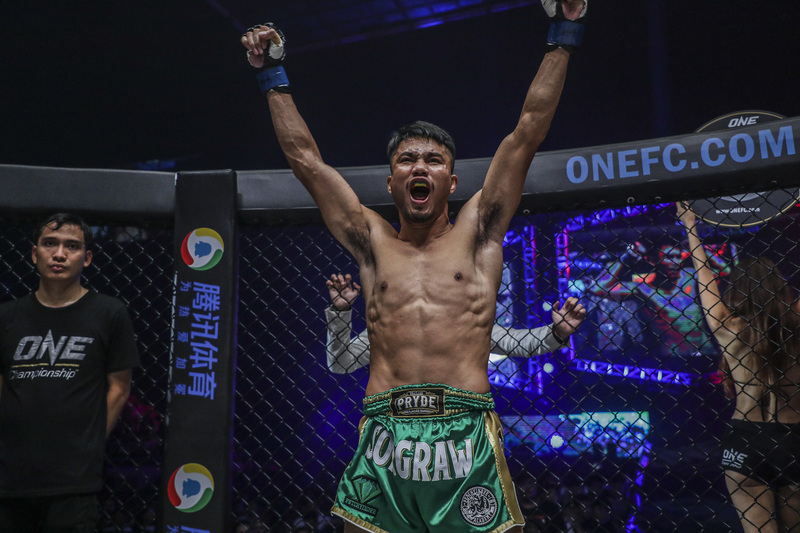 Representing Thailand, Sorgraw Petchyindee Academy, 25, was victorious in his debut in ONE Super Series, the striking-only league of ONE Championship. The Thai martial artist conquered his French opponent at “ONE: Spirit of a Warrior” at the Thuwunna Indoor Stadium in Yangon, Myanmar. Sorgraw competed against Samy “AK47” Sana, 29, of France in a kickboxing contest in a catch weight of 72 kg at “ONE: Spirit of a Warrior.” It was the third among the three ONE Super Series bouts, which were all refereed by Atsushi Onari. After three three-minute rounds, Onari raised the hand of Sorgraw as the winner via unanimous decision. Sana was visibly surprised by the announcement. Both Sana and Sorgraw made their ONE Championship debut at “ONE: Spirit of a Warrior.” The French contender is a World Boxing Council (WBC) Champion and an A1 Muay Thai World Champion while the Thai fighter is a Lumpinee Stadium Muay Thai World Champion. The first ONE Super Series match kicked off “ONE: Spirit of a Warrior.” Elliot “The Dragon” Compton of Australia defeated Matthew “Sobek” Semper of the United States via unanimous decision in a kickboxing contest in the lightweight division. In the second ONE Super Series match, Samy “AK47” Sana of France lost to Sorgraw Petchyindee Academy of Thailand via unanimous decision in a kickboxing contest at a catch weight of 72 kg. In the co-main event of “ONE: Spirit of a Warrior,” Leandro “Brodinho” Issa, 34, of Brazil submitted Roman “Sonic Boom” Alvarez, 23, of Guam via arm-triangle choke. It was Guamanian fighter’s first bout in ONE Championship. In the main event, “The Burmese Python” Aung La N Sang, 33, win successfully defended his ONE Middleweight World Champion title from Ken Hasegawa, 31, of Japan. The Burmese champion knocked out his Japanese challenger at 3:13 of Round 5.